Is your Facebook advertising cost relatively high? Has you been spending on Facebook ads without any meaningful result to show for it? Without doubt, Facebook is a cool platform for advertising and promoting any business, brand, product, idea, event or even services. However, minor errors on your part which might come from issues like Advert images, Headline or even your AD copy can affect the quality and effectiveness of your AD, and increase the cost of your Facebook Advertising campaign. Facebook AD targeting gives you the opportunity to target people with unique interest or the one’s which applies to certain demographics. After you’ve finished targeting, save these target groups for later use. With Facebook AD targeting, you can search for look alike audience, and this can be done by going through profiles of your email subscribers. Targeting the wrong audience can create series of problems for your Facebook AD campaign. It can also affect it’s efficiency and productivity. When targeting, ensure you only focus on those audience which correctly fits in your campaign. CPC/ PPC (Pay Per Click): This method requires you pay only when a Facebook user clicks on your AD. I particularly recommend this method for people who are still new and trying to learn the ropes of Facebook AD and how it works. 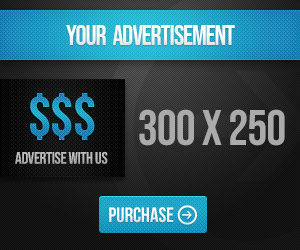 CMC/ PPM (Cost Per impressions): With this method, you only have to pay when your AD receives 1000 views. You only pay for the views, and not clicks because using this method does not entitle you to receive clicks. This method is highly recommended for creating brand awareness. Checkout: Top 10 Freelancing Websites To Earn Money From In 2018. No one likes receiving same AD, especially if they have already bought it. When advertising on one time actions, there is no point in showing same AD repeatedly to people who have already taken your desired action on that particular AD. Facebook charges for displaying your AD, and as such your AD would still be displayed to people who have already bought it. This scenario can be avoided by regularly updating your target audience and buyer list. One of Facebook Advertising’s coolest feature is that you can test everything here before selecting the ideal one for your campaign. Some of the areas which you can do split tests for include Audiences, Ad Picture, Ad Headline, Ad Copy/CTA(call to action), Location, Desktop Versus Mobile, News Feed versus Right Hand Column. Do these, and choose the best suited options from the test result.